The average person can spend up to 48 hours browsing the web per month or about 7GB per month per person in your household. “Web surfing” covers a lot of online activity. Broadly speaking, you can easily use around 2.5MB per minute when browsing on a laptop or desktop. Software updates and apps can consume large quantities of your data. For example, the Apple iOS 10 update is 1.5 GB. Many software updates are set to automatically update. You should turn this off to reduce data consumption. For example, Windows 10 is 3GB which can be a large percentage of your monthly plan if you are limited to 5GB. Tips for reducing data consumption on apps and devices is to turn off automatic updates and background refresh, locations services and also turn off wi-fi assist under mobile settings. iPhone users can also turn off synching with iCloud to reduce data usage. For every hour of 720p (Standard Definition) video footage on YouTube you’re using up around 2.2GB of data. A High Definition movie will use 3.5GB per hour. A common misconception about video streaming is that it doesn’t use up as much data as downloading the same video would. 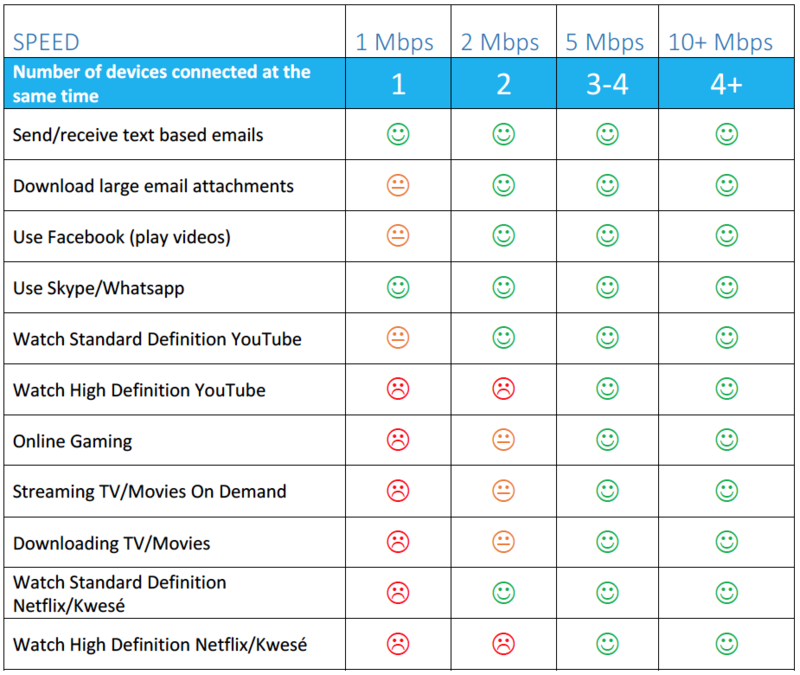 In fact, it uses about the same amount of data – each time you stream it. YouTube will automatically set the viewing of a video to High Definition unless you manually change it. 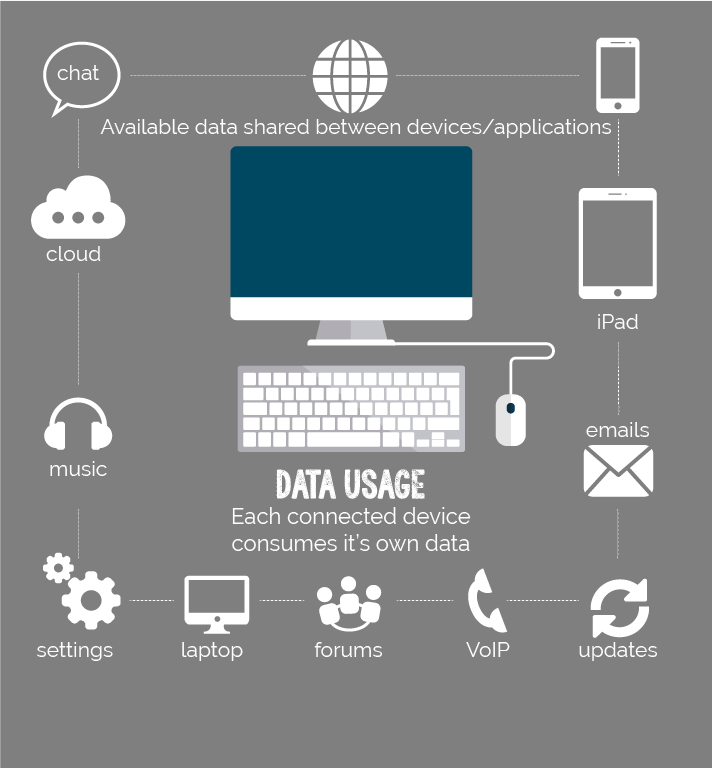 You could be consuming high levels of your data without even realising. 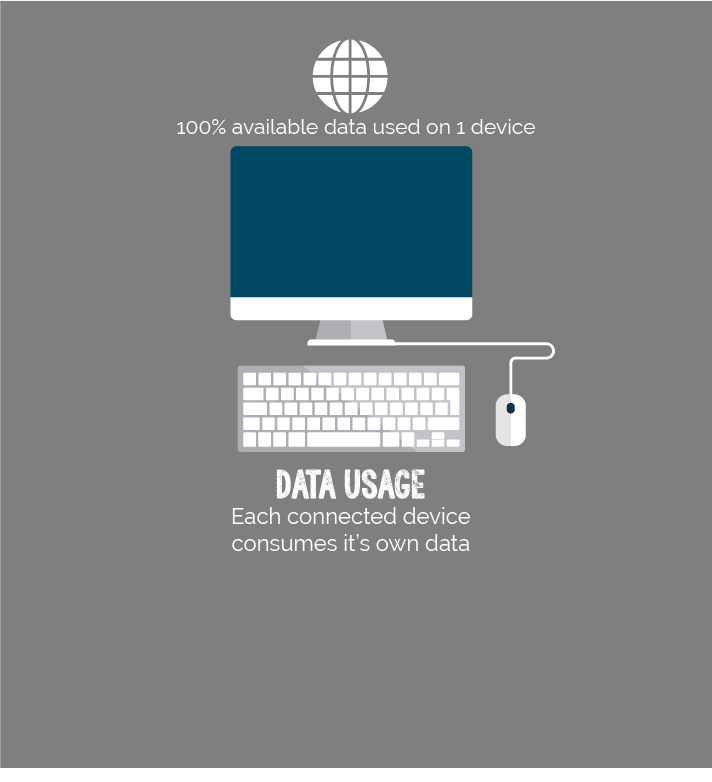 Even when not in use, every device that is powered on will be consuming data. To reduce data usage when you are not using your device, switch it off or switch off your internet modem. Consistently using all your data? How is data measured? What do Kb, MB and GB stand for? This stands for kilobyte and just over 1000Kb make up one MB. This stands for megabyte and is made up of approximately 1000 bytes.